WOMAN: What do you want to do for dinner tonight? MAN: Want to just throw a couple burgers on the grill out back? Since I've moved back to Houston I have been able to rediscover the art of grilling. I recognize that this is not unique to Houston, and that most people in America have experienced a backyard barbecue at some point. However, New York City generally does not lend itself to barbecuing due to lack of space and fire bans in the parks. Everyone has that one friend that hits the New York lottery with the elusive backyard space (I'm looking at you Cat), so you take it where you can get it. You can grill burgers! You can grill steaks! You can grill fish! You can grill vegetables! 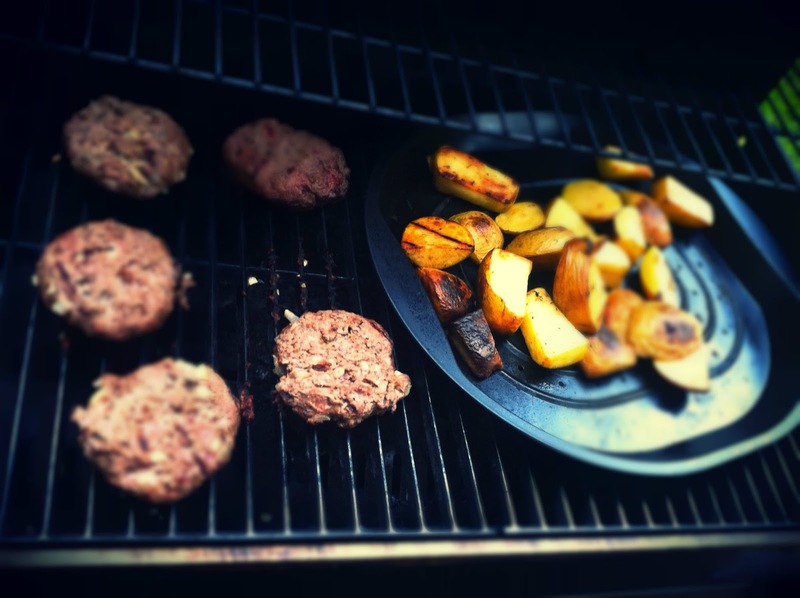 You can even grill potatoes (pictured above)! For 11 months out of the year! It's the most incredible thing ever! 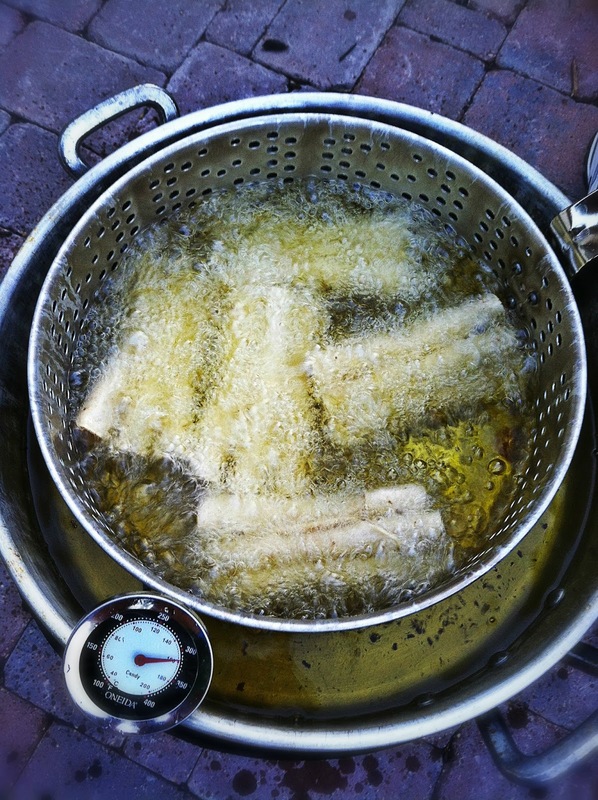 You can even Fry stuff! 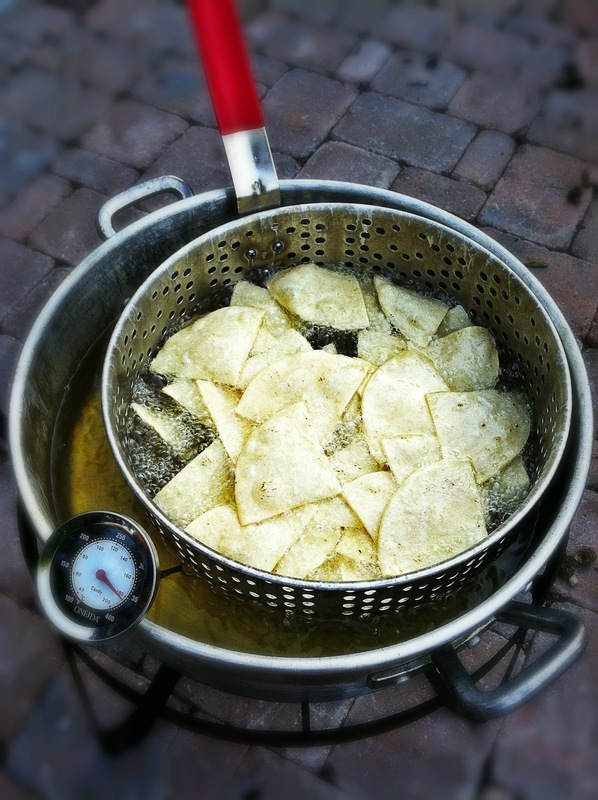 What you see pictured above is the frying of homemade tortilla chips and flautas, respectively. Homemade tortilla chips and flautas! And you bet we ate all of this with authentic homemade guacamole and salsa that burned like fire the whole way down and made you regret nothing and everything all at the same time. Maybe the wonder of it will wear off. Maybe the 4th of July barbecues in Cat's awesome backyard on the Upper East Side made me appreciate more what I didn't readily have. Maybe only being able to grill 3 months of the year due to seasonality made me see how special the act really is. So I would like to propose a toast: Houstonians alike, let's raise a St. Arnold, Shiner, or Tony's margarita to the barbecue. We salute you. *I do realize that some people in NYC have backyards with barbecue pits, but not having any raw data at my fingertips I'm going to go out on a limb and say it's about .79% of the Manhattan population.